Last week’s scheduled economic releases included reports on retail sales, inflation and the Federal Reserve’s Beige Book report. Weekly reports on mortgage rates and new jobless claims were also released. The Consumer Financial Protection Bureau announced a limited program for reducing principal on eligible mortgages held by Fannie Mae and Freddie Mac. This program is intended to resolve remaining “underwater” mortgages on homes worth less than their current mortgage amounts. Retail sales fell in March to close out a weaker than expected first quarter 2016. Retail sales fell 0.30 percent in March as compared to expectations of a 0.10 percent increase and February’s flat reading. Analysts said consumers were reluctant to spend in spite of improving job markets and household finances. Retail sales rose by 1.70 percent year-over-year, a reading categorized as “weak” by analysts. Hiring for lower wages and fewer hours worked was seen as contributing to consumers’ reluctance to spend, especially on big-ticket items including vehicles. Retail sales excluding auto sales were 0.20 percent higher than in February, but did not meet the expected reading of 0.50 percent and incrementally exceeded February’s reading, which was unchanged from January. Inflation rose by 0.10 percent in March against expectations of 0.20 percent and February’s negative reading of -0.70 percent. Core inflation readings that exclude volatile food and energy sectors mirrored the Consumer Price Index with 0.10 percent growth against an expected reading of 0.20 percent and February’s Core Consumer Price Index reading of 0.30 percent. Lagging inflation is largely attributed to lower fuel prices, but this doesn’t impact the Core CPI reading. According to the Federal Beige Book report for March, business contacts surveyed by the Federal Reserve suggested that increases in wages and oil prices should bump up the economy, but the Fed expects economic expansion to increase at a “modest to moderate” rate for the long term. Employers noted difficulties in hiring for low and high skilled jobs in some areas, and retailers were optimistic about sales for the rest of 2016. In general, the Fed has adopted a cautious approach to raising its target federal funds rate. Fed Chair Janet Yellen repeatedly cited concerns over global risks for scaling back Fed rate increases from four to two in 2016. Freddie Mac reported the lowest mortgage rates for 2016; rates were also their lowest since May 2013. The average rate for a 30-year fixed rate mortgage fell one basis point to 3.58 percent; the average rate for a 15-year fixed rate mortgage fell two basis points to 2.86 percent. The average rates for a 5/1 adjustable rate mortgage also slipped two basis points to 2.84 percent. Discount points were 0.50, 0.40 and 0.50 percent respectively. In unrelated mortgage news, the Consumer Financial Protection Bureau announced a limited program for reducing mortgage balances for eligible mortgages owned by Fannie Mae and Freddie Mac that exceed home values. Mortgage lenders will notify eligible homeowners by December 31.While limited in scope, this program is expected to prevent foreclosure of eligible properties that cannot be sold or refinanced. Jobless claims fell to 253,000 new claims last week, which was lower than the expected reading of 270,000 new jobless claims and the prior week’s reading of 266,000 new claims. Coupled with the Beige Book findings that employers are facing shortages of qualified workers, this low reading appears to further support improving economic conditions. Next week’s scheduled economic releases include the National Association’s Home Builders Housing Market Index along with Commerce Department reports on housing starts and building permits. The National Association of Realtors® will also release its Existing Home Sales Report. 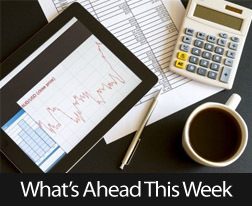 Last week’s economic calendar was full of new releases including pending home sales, Case-Shiller Home Price Indices and construction spending. Labor related reports including ADP payrolls, federal Non-farm payrolls, and the national unemployment rate were also released along with reports on consumer confidence and weekly reports on mortgage rates and new unemployment claims. According to the S&P Case-Shiller 20-City Home Price Index for January, home prices increased by 5.70 percent year-over-year. The West led price increases with double-digit price gains posted for San Francisco, California, Portland, Oregon and Seattle, Washington. Denver, Colorado also posted a double-digit gain, but dropped its recent lead for metro areas tracked by the 20-City Index. The National Association of Realtors (NAR) reported better than expected growth in February pending home sales. Low mortgage rates pushed pending home sales to their highest rate in seven months. Pending home sales rose 3.50 percent in February, which exceeded the expected reading of 1.80 percent and January’s reading of 03.00 percent. NAR Chief Economist Lawrence Yun said that February’s reading indicated that housing markets may be recovering after choppy winter sales. Mr. Yun also noted a “slight uptick in inventory,” which is good news for housing markets currently experiencing low inventories of homes for several months or more. S&P Index Committee Chair David M Blitzer echoed Mr. Yun’s remarks about the impact of low inventories of homes for sale. While higher home prices driven by low inventories benefit home sellers, there comes a point where potential buyers cannot find and / or afford available homes. Constructing new homes is the only immediate solution to increasingly limited supplies of homes for sale. Construction spending slipped in February from January’s upwardly revised $1.150 trillion on a seasonally-adjusted annual basis. February’s reading was $1.144 trillion. Construction spending fell 0.50 percent as compared to analysts’ expectations of 0.20 percent. Year-over-year, construction spending was 10.30 percent higher in February. Freddie Mac’s weekly mortgage rates survey reported mixed results last week. The average rate for a 30-yar fixed rate mortgage held steady at 3.71 percent; the average rate for 15-year fixed rate mortgages rose by two basis points to 2.98 percent and the rate for 5/1 adjustable rate rose by one basis point to 2.90 percent. Average discount points were unchanged across the board at 0.50, 0.40 percent and 0.50 percent respectively. New unemployment claims rose to 276,000 against an expected reading of 270,000 new claims and 265,000 new claims the prior week. The Bureau of Labor Statistics reported fewer jobs created in March than for February. 215,000 jobs were added in March as compared to the expected reading of 203,000 new jobs and February’s reading 245,000 new jobs. ADP reported a lower reading of 200,000 private sector jobs added as compared to expectations of 205,000 jobs added and February’s reading of 205,000 private sector jobs added. The national unemployment rate ticked up to 5.0 percent over February’s reading of 4.90 percent. Consumer confidence rose over two percent in March with a reading of 96.20 percent. Analysts expected a reading of 94.20 based on February’s reading of 94.00. 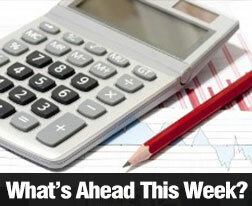 Economic reports scheduled this week include job openings and weekly reports on mortgage rates and new jobless claims. Shortages of available homes are a major factor in rising home prices; shortages also make it more difficult for buyers to find homes they want. Housing starts in February rose, which is good news for the peak spring and summer home buying season. Other housing related news released last week included the Fed’s decision not to raise the target federal funds rate and Housing Starts and Building Permits reports issued by the Commerce Department. Consumer Sentiment was also released along with regularly scheduled releases on mortgage rates and weekly unemployment claims. According to the NAHB/Wells Fargo Housing Market Index for March, home builder confidence held steady at a reading of 58. Analysts expected an uptick to 59 based on February’s reading of 58. Any reading above 50 indicates that more builders have confidence in housing market conditions than those who do not. The overall HMI reading is based on three components including builder perception of current market conditions, market conditions within the next six months and buyer foot traffic in new home developments. Builder confidence in current market conditions held steady at a reading of 65. 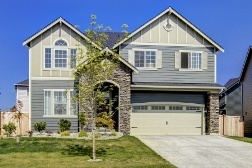 Builder confidence in market conditions within the next six months dropped three points to 65. Builder confidence in buyer foot traffic increased four points to a reading of 43. Confidence in buyer foot traffic has not topped a reading of 50 since 2005. High demand for homes coupled with a short supply of affordable suburban single family homes compelled NAR Chief Economist Lawrence Yun to comment, “Imbalances in supply and demand and unhealthy levels of price growth in several metro areas have made buying a home an onerous task for far too many first-time buyers and middle class families.” Mr. Yun called for builders to double their focus on building single family homes. Reports on housing starts and building permits issued indicate good news for the shortage of available homes. The Commerce Department reported that housing starts rose from January’s reading of 1.120 million starts to an annual level of 1.178 million starts. Analysts expected a reading of 1.153 million starts. Building permits also increased from January’s reading of 1.120 million permits to 1.167million permits issued. Analysts forecasted a reading of 1.210 million in February. The Federal Reserve announced its decision not to raise the target federal funds rate on Wednesday. The current rate is 0.250 to 0.50 percent. Policymakers cited concerns over global economic developments as a reason for their decision. This decision quickly showed an impact on Thursday. Freddie Mac reported average rates rose across the board. The rate for a 30-year fixed rate mortgage rose five basis points to 3.73 percent. 15-year mortgage rates averaged 2.99 percent, which was three basis points higher than the prior week’s reading. 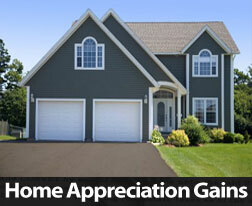 The average rate for a 5/1 adjustable rate mortgage rose by one basis point to 2.93 percent. Discount points averaged 0.50, 0.40 and.50 respectively. Weekly jobless claims rose to 268,000 against expectations of 268,000 new claims and the prior week’s reading of 258,000 new jobless claims. Consumer sentiment dropped to 90.00 in March against an expected reading of 92.10 and February’s reading of 91.70. Consumer outlook is important to housing markets as the decision whether or not to buy a home is typically based on potential buyers’ evaluations of job stability and affordability of available homes. 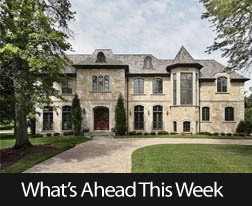 This week’s scheduled economic releases include reports on new and existing home sales as well as usual weekly releases on mortgage rates and new jobless claims.